North Queensland coach Paul Green says the NRL club will consider going to the open market to replace sacked fullback Ben Barba. The Cowboys have been linked with Souths Sydney's Alex Johnston and Valentine Holmes, who is in the US attempting to carve out a NFL career. 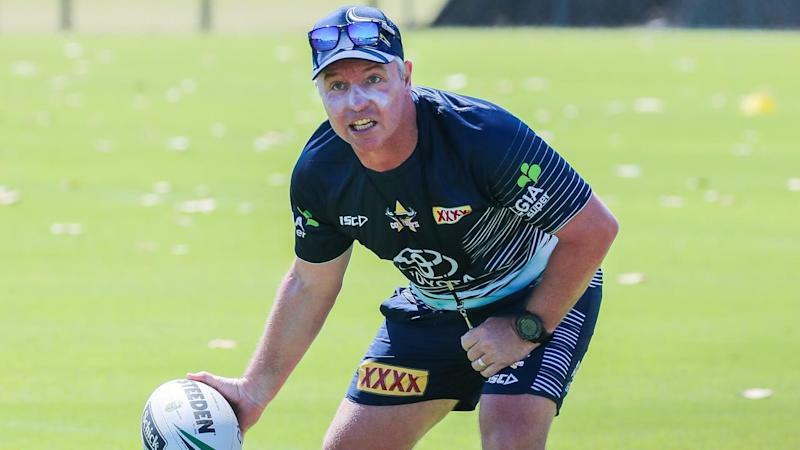 While Te Maire Martin or Ben Hampton have been floated as options, Green said he'd wait until the Cowboys had a few more weeks training under their belt before making a call. "The timing has been challenging but there's a couple of guys who have played there before or who have the skills to do a good job there but haven't played there," Green said. "Going to market is an option but we just have to make sure whatever way we go is the right thing for us." Green admitted the club was dealing with the fallout of Barba's axing, which came after he allegedly assaulted his partner on the Australia Day weekend. "It was really disappointing," Green said on Tuesday. "It's disappointing for the club and disappointing for Ben. "We did everything we could with the information available to us." Green said the Cowboys, who are looking to improve on last season's below-par 13th placing, are two weeks behind schedule due to the recent flooding in Townsville. The squad returned to regular training on Tuesday for the first time since flooding inundated the region last week. Apart from the heavy rain, they struggled to find a ground to train on. "Given the last couple of weeks we've had, it's been fairly disrupted," Green said. "We pretty much lost two weeks out of our pre-season, which was a long time." The Cowboys play their first trial match against Gold Coast on the Sunshine Coast on February 23. "We've got a bit of work to catch up so how his two-week period looked before the rain probably will look a little bit differently and I'll need to consider the team I'll play in our first trial match," he said.